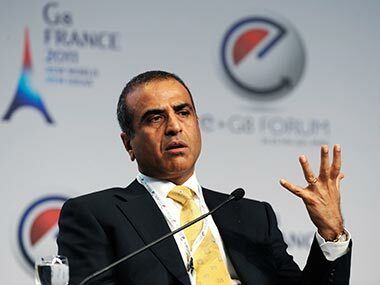 New Delhi: Bharti Airtel will invest up to Rs 20,000 crore this year in digital infrastructure, the company's chairman Sunil Bharti Mittal said on Wednesday. Speaking at the India Mobile Congress, Mittal -- who shared the dais with arch industry rival Mukesh Ambani (Reliance Industries chairman) -- advocated a collaborative approach to overcome challenges and unleash the growth potential of the sector. "India's time has come...each large tech honcho is looking at India," Mittal said terming the country as an emerging showcase for digital technology. Seeking government's support in fast tracking the pace of growth and achieving India's vision, he urged states as well as municipalities to recognise the power of digital India and enable easy on-ground implementation of policies like the right of way. Mittal said the telecom industry is offering "yeoman service" and infusing large amounts of money in strengthening infrastructure. Airtel will invest Rs 18,000 to Rs 20,000 crore this year, he said, adding that the industry overall will be injecting Rs 50-60,000 crore to build digital infrastructure. He said Airtel is rolling out massive Multiple Input Multiple Output (MIMO) technology and India will be "in step and head to head with what is happening globally". Mittal said the technology of future will involve autonomous cars, flying cars, AI based doctors and bots, and hoped that the coming generations will reap the benefits of technological framework being laid out today.